Wth is this? I just made a brand new account and it said that. Then i tried logging into my main the second i tried logging in it says it too? Wtf?? The problem with this is, when i go to my e mail i get a re activation thing i click it and it just prompts me to change my password, i change the password and when i try logging in it says it again. It's a never ending cycle. 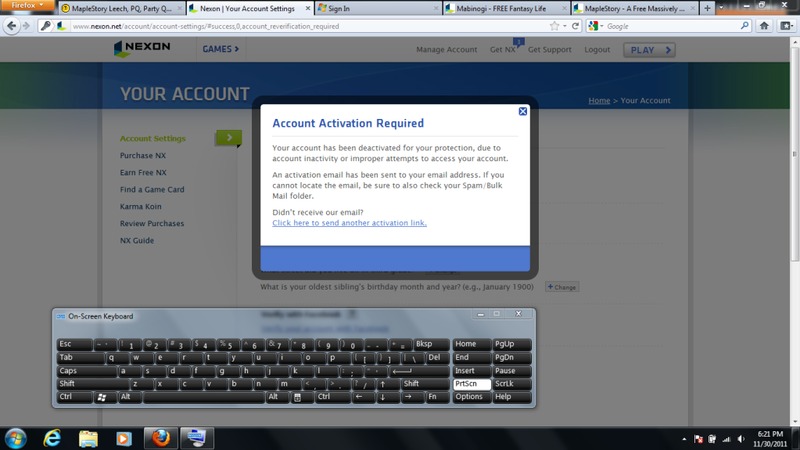 Also i can't ask nexon for help due to my account being deactivated. Re: account deactivated? Dah Fuq? Yea.. Hate to break it to ya, but that's an ip ban. Unify wrote: Yea.. Hate to break it to ya, but that's an ip ban. Well come on dude. It's nexon! They do stupid things all the time.